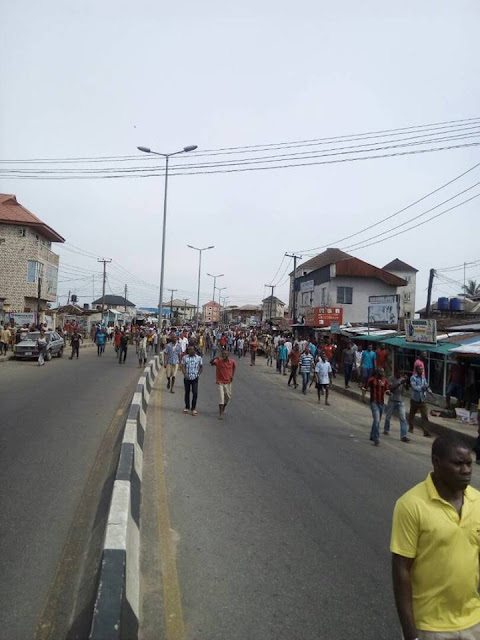 There is an ongoing protest in Port-Harcourt, Rivers state capital after a policeman killed a young boy selling pure water along Okporo road, Port Harcourt for not observing Environmental sanitation. A Facebook user, Okah Chris Obinichi, took to his facebook page to disclose the incident. 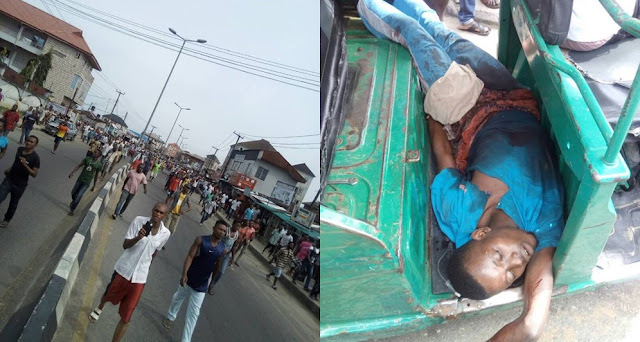 A police man has killed an innocent boy selling pure water on okporo road, Port harcourt. Angry mob threatening to burn down Okporo police station. 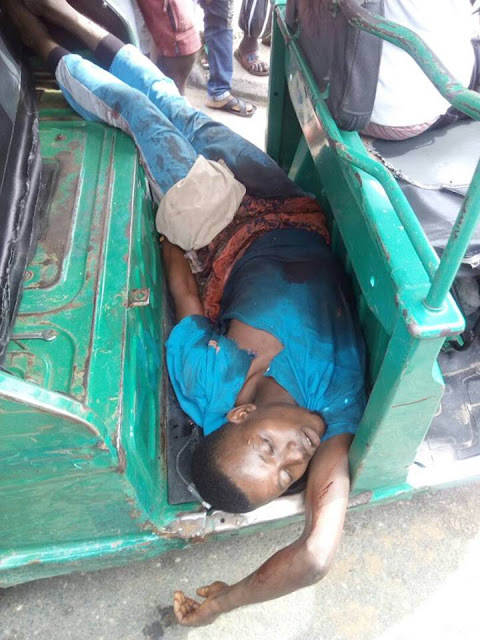 When the public relations officer of the Rivers state police command, was contacted on the incident, he said he will get back to us as he is currently in a meeting.